The third installment of the Project NOSH Pitch Slam, sponsored by ADM, will take place on the NOSH Live Winter 2017 stage in Santa Monica, CA on November 30th. 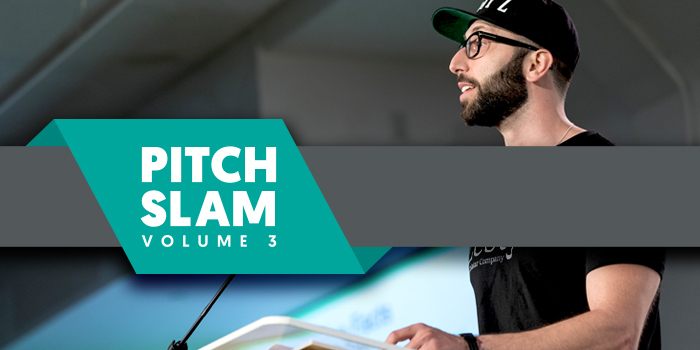 Pitch Slam provides a platform for emerging entrepreneurial natural food brands to present their innovative products and business plans to a panel of respected judges from the natural food business. Investors, retailers, distributors, brands and other industry professionals will be in the NOSH Live crowd and viewing the presentations online. The Project NOSH Pitch Slam is the distinguished business pitch competition for emerging better-for-you packaged food brands. Aside from the $5000 grand prize, all finalists will benefit from the informed, candid feedback from the judges, who will be drawn from industry veterans, investors, and retail and distribution gatekeepers. Participants will also take away exposure from the hundreds of conference attendees and livestream viewers. Over 60 natural packaged food brands applied to compete in the second Pitch Slam this past June, and Bronx Hot Sauce came out on top. To join the winner’s circle, each brand must present a four minute “pitch,” followed by direct Q&A with the judges, who will select a winner to be announced at the end of the conference. For a better understanding of the competition, please take a look at the Summer 2017 Pitch Slam Presentations, which includes Bronx Hot Sauce’s winning pitch. Ready for the spotlight? Get noticed and gain industry exposure. Applications from natural and better-for-you brand owners will be accepted until Friday, November 10th. Only a handful of applicants will be selected to present in the finals on the NOSH Live Winter 2017 stage.There is no cost to apply aside from conference registration. Detailed information on the format and selection process can be found in the application. More information on NOSH Live Winter 2017 and access to early registration pricing can be found on the event homepage. NOSH Live Winter 2017 will be held on November 30th at the Loews Santa Monica Beach Hotel in Santa Monica, CA. For early-stage companies, a complementary Boot Camp will be offered on November 29th. Questions about the Pitch Slam or the conference can be arranged by contacting Jon Landis. Sponsorship opportunities are still available and can be arranged by contacting John McKenna. Project NOSH hosts conferences twice a year to help develop and fuel the growth of entrepreneurial Natural, Organic, Sustainable and Healthy (NOSH) packaged food companies and service providers. 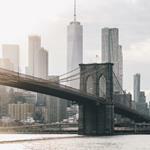 Project NOSH events are full-day, cutting-edge industry conferences that drive valuable industry connections and promote the exchange of strategies and ideas. Specific to growing CPG food companies, the conference program explores growth strategy, sales, marketing, investment, and more through case-based presentations and panels by an all star roster of speakers. 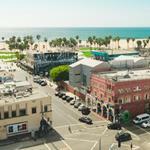 The next conference takes place on November 30th in Santa Monica, CA at the Loews Santa Monica Beach Hotel. For more than a century, the people of Archer Daniels Midland Company (NYSE: ADM) have transformed crops into products that serve the vital needs of a growing world. Today, the company is one of the world’s largest agricultural processors and food ingredient providers, with more than 32,000 employees serving customers in more than 160 countries. With a global value chain that includes 428 crop procurement locations, 250 ingredient manufacturing facilities, 38 innovation centers and the world’s premier crop transportation network, the company connects the harvest to the home, making products for food, animal feed, industrial and energy uses.